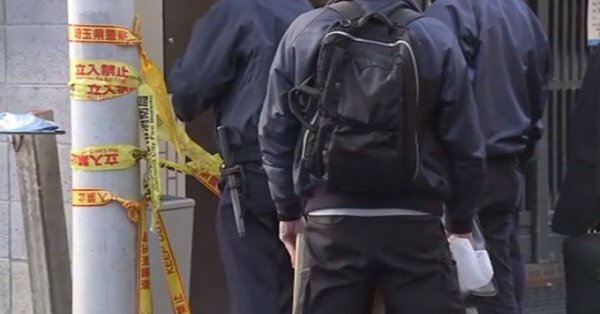 SAITAMA (TR) – Saitama Prefectural Police have arrested an organized crime member over the stabbing of two fellow gangsters in Saitama City on Friday, reports the Sankei Shimbun (Jan. 19). At around 3:15 p.m., Ikuo Shibata, a 49-year-old upper-level member of a gang affiliated with the Sumiyoshi-kai, allegedly used a knife to stab the two other gangsters — aged 49 and 51 — in the chest inside a multi-tenant building in the Miyacho area of Omiya Ward. The victims suffered wounds that are not considered life-threatening, police said. The building includes an office of the Sumiyoshi-kai. The victims are members of an affiliate gang of the Sumiyoshi-kai different from that of the suspect. Shibata surfaced as a person of interest for police after an examination of security camera footage taken in the area. Police arrested him on suspicion of attempted murder at his residence in Minuma Ward on Friday night. Police did not reveal whether Shibata admits to the allegations.